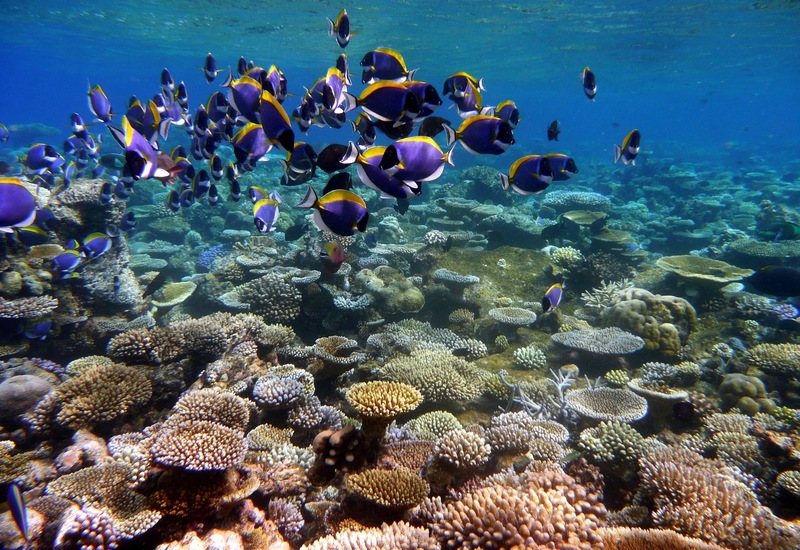 Cristal clear water, fully fledged coral reef and its swarming marine life made the island of Koh Tao one of Thailand’s scuba diving Hot Spot. Divers from all over the world come swim in these incredible environment surrounded by sharks and turtles. 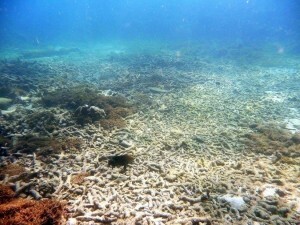 Victim of the environmental pressure of its own success and 2010 hot weather event, Koh Tao saw 80% of its coral reef brutally die. Koh Tao (or Ko Tao) is a Thai island of 21 km2 in the Gulf of Thailand about 70 kilometers from the coast in the province of Surat Thani. Koh Tao means “Turtle Island”. Some say this is due to the shape of the island, and according to others, it is due to the presence of many turtles that used to come to breed on its beaches. 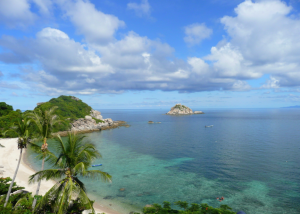 The population of Koh Tao is estimated to be 5,000 inhabitants in 2011. Koh Tao, a Royal property, used to be for many years a sea walled penitentiary, using its water belt against any escape attempt. Then, the penitentiary was abandoned and lands have been “loaned” to families mostly coming from Chumphon. Thousands of coconut trees were planted. Families still present on the island have now ceased to operate coconut trees industrially. Those who had an opening on the sea began to receive tourists very briefly in the 1990s. 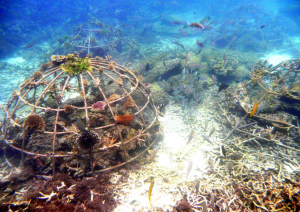 Since that time, Koh Tao became a global scuba diving Hot Spot. 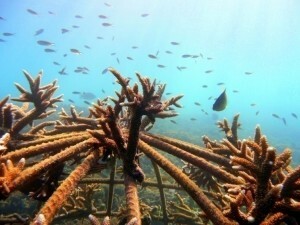 Its crystal clear waters are full of fish, and its numerous diving schools at low prices attract tourists worldwide. 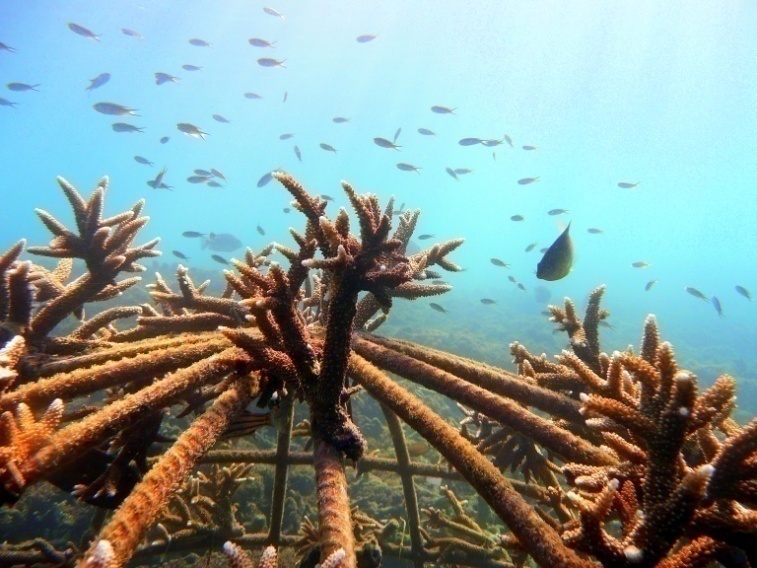 Our coral farm project has been carried to the extreme south-east of Koh Tao in the middle of a small bay called Haad Sai Daeng. On the beach along this bay are two small “guesthouses”, representing an average attendance of about forty people a day. 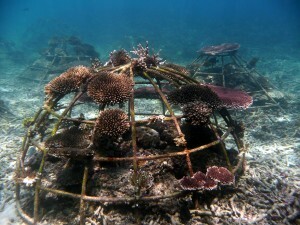 Because of the reef’s low depth, for over 20 years coral has been damaged by tourists visiting this site. 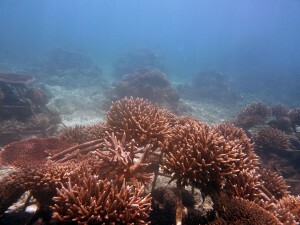 Leading what was once a magnificent coral garden, into today’s dead coral field.  With the support and consent of the general population of Koh Tao, the first action of the rescue plan established by Save Coral Reefs was to classify the entire Haad Sai Daeng Bay as Marine protected sanctuary. 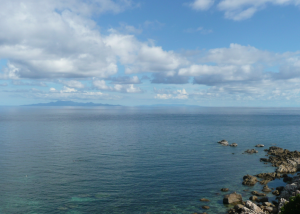 This implies that since December 2009, it is totally prohibited to fish in the bay under threat of sanctions. A poster explaining our initiative has been placed in each room of the 2 hotels on the bay. In addition, a panel explaining the coral farm project and the rules of good conduct in the water has been installed on the beach. 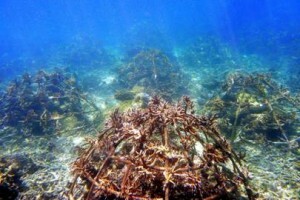 The second component was the creation of the coral park. 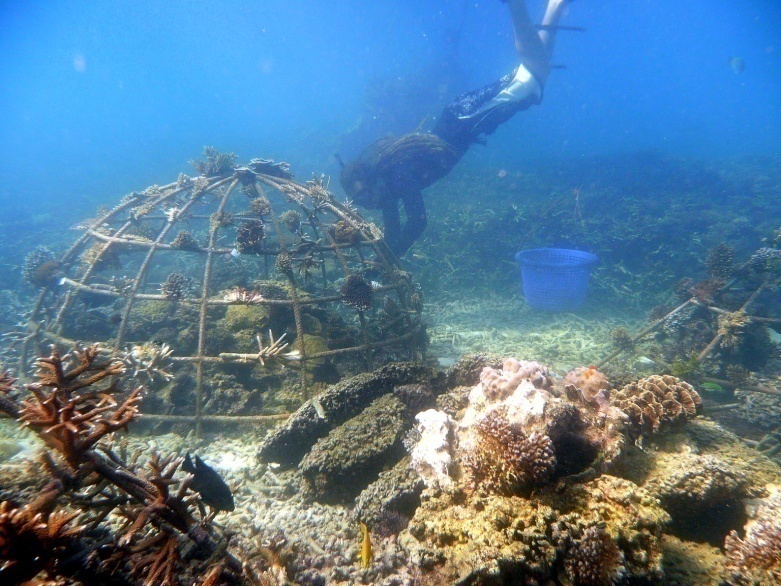 To do this, we constructed and submerged metal structures 10 (of 80 kg each) and 1600 kg of rock structures (for details see section: How is it bone?). 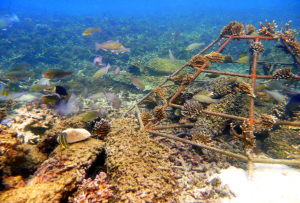 We then grafted about a hundred coral cuttings on each structure which represents for the whole Coral Park, a total of 1000 new coral colonies divided into 29 different species. The last phase of the rehabilitation plan is the scientific monitoring of the coral park. To do so, we meticulously photographed, measured and identified 10% of the grafted cuttings. 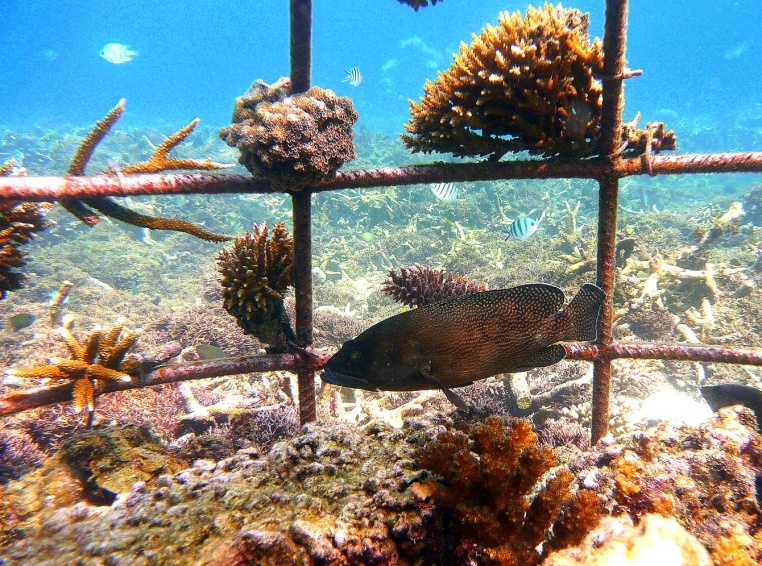 With this representative sampling method of the coral population, it is possible to measure the survival, attachment and the growth rate of the transplanted fragments. 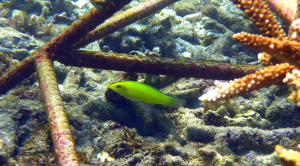 Moreover, a count of the number of fish species has been locally carried out before, during and after the establishment of the Coral Park. 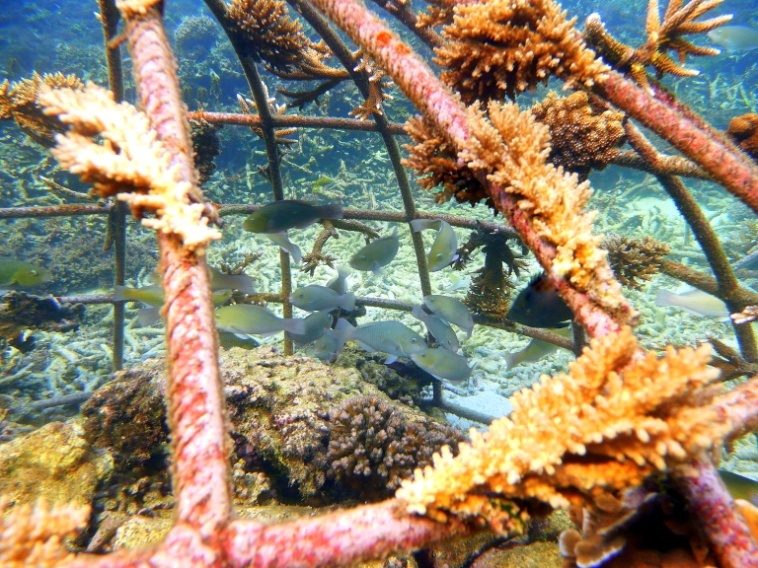 With this method of observation, we can know the evolution of the biodiversity on the coral park. The first results were beyond our expectations. 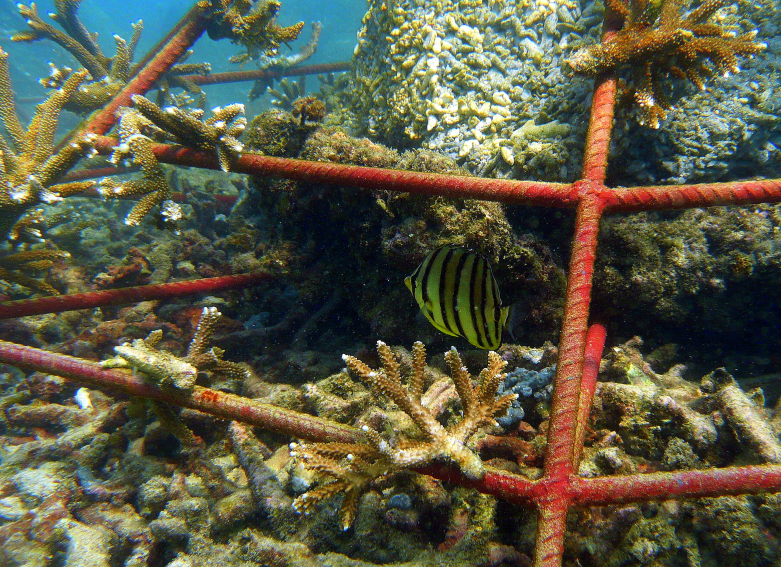 Just built, the park attracted a diverse population of fish. Indeed, on the settlement area, the number of fish species increased from 7 before the project, to 26 at completion. 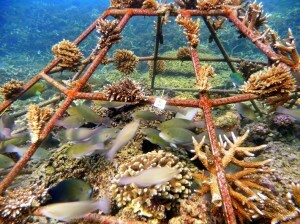 Two month later, 35 different species of fish could be observed on the Coral Park. 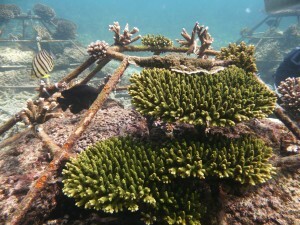 After a year, most of the corals have grown well and developped a strong base. The number of fish species has rised since the last monitoring from 35 to 55. 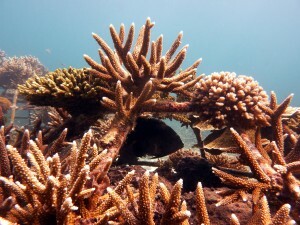 Very little competition was noticed between the corals and other living organisums.